Cold soup recipes are no-cook soups, perfect for enjoying in the heat of summer! Here are 8 of the best cold soup recipes for summer that are not only easy to make, they’re refreshing and healthy, too! 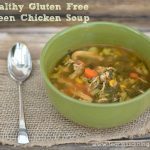 These cold soups are gluten free, many are vegan too. Summer is here and it is HOT outside! Well, don’t despair, because these chilled soups will cool you down. Cold soups are made with fresh fruits and vegetables. You don’t cook these soups, making chilled soup perfect for hot summer days. Ready to try out a cold soup recipe? I have to be honest….until I made this chilled watermelon soup recipe a couple of weeks ago, I had never tried a cold fruit soup. Try one on my kids?? No way. I only got my kids to like hot soup last year and I didn’t want to push my luck. These summer soup recipes are perfect for those hot months when you need something cool and refreshing. 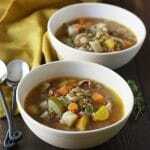 Here is a great round-up of soups that I think my kids will like. Click on these healthy soup choices to see how to make chilled soups, and let me know which you liked best :-). Fresh cucumbers are delicious, especially when you add a little spicy mango and habanero salsa. Garnish with creamy yogurt! If you love peppers and beets, this will be a delicious and easy cold soup recipe for you to make. The vibrant color makes this cold vegetable soup beautiful. I am a self-declared shishito pepper addict. I have tons of delicious shishito pepper recipes on my site, and I love when they are used in unexpected ways! Grab some fresh and juicy heirloom tomatoes and enjoy this cold soup recipe! Mango is another fruit that can go sweet or savory! Add in shishito peppers and you get a fabulous flavor combination. This cold soup makes fun soup shooters for a party! 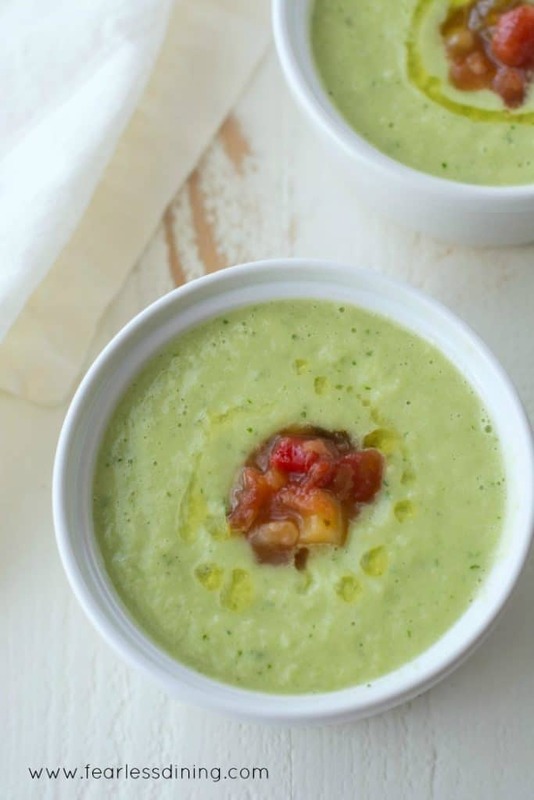 This cold soup recipe is sweet, with a little savory from the fresh basil and cojita cheese. My kids loved this fruity cold soup! Use a really ripe fresh pineapple for the best flavor. Tomato and corn work really well together in this easy cold soup recipe. Garnish with raw corn kernels. 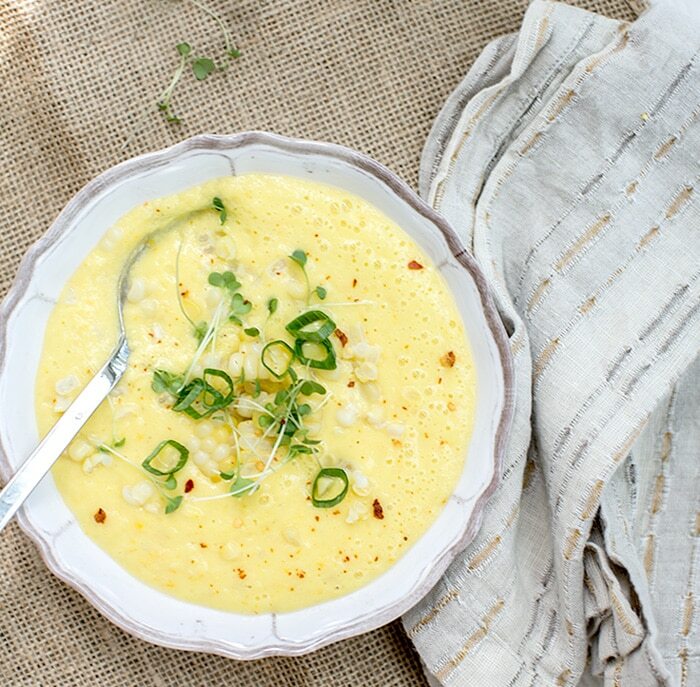 This is one of the best cold soup recipes when the corn crop is fresh. 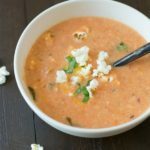 Melons make fabulous cold soup recipes for summer! 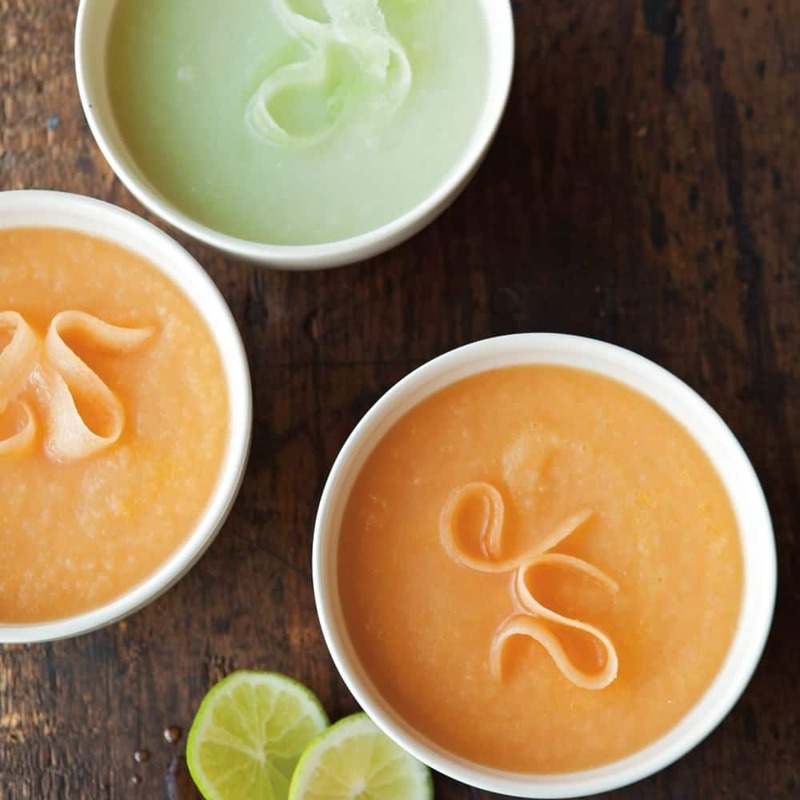 Here you can use either honeydew melon or cantaloupe…or make both melon soups and compare the flavors. :-). 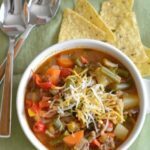 I hope you love this roundup of easy cold soup recipes. 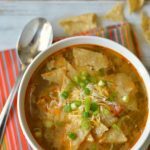 There are sweet and savory soups included so experiment, have fun, and drop me a comment to let me know which you have tried, and which you like best :-). 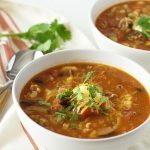 Some Yummy Hot Soups To Try! I had my 1st taste of chill fruit soup on a Greece Island cruise abd it was DELICIOUS. Purchased sum ftuot over the weekend and hax a sunday brunch and served strawberry and peach chilled fruit soup abd it was a GREAT HIT. Will make it all summer. Hi Michael. Thank you so much for writing. You are so right. This is a really old post that I did for Mode Media and they went bankrupt. I am going to go back to my notes and try to find the recipes and redo this post. Please check back in a couple of days and you will see what was here. I am so sorry. I didn’t realize this company wasn’t in existence anymore. Hi Michael, I wanted to let you know this post is fixed and I added the chilled soup recipes in. Thank you so much for your patience. I love chilled soups and chilled fruit soups are totally underrated! Great collection of them! Love a nice chilled soup in the summer! I never thought I would like fruit soups until I got in a daring mood and tried one – oh, my so good! Thank you for this collection – I can’t wait to try these! 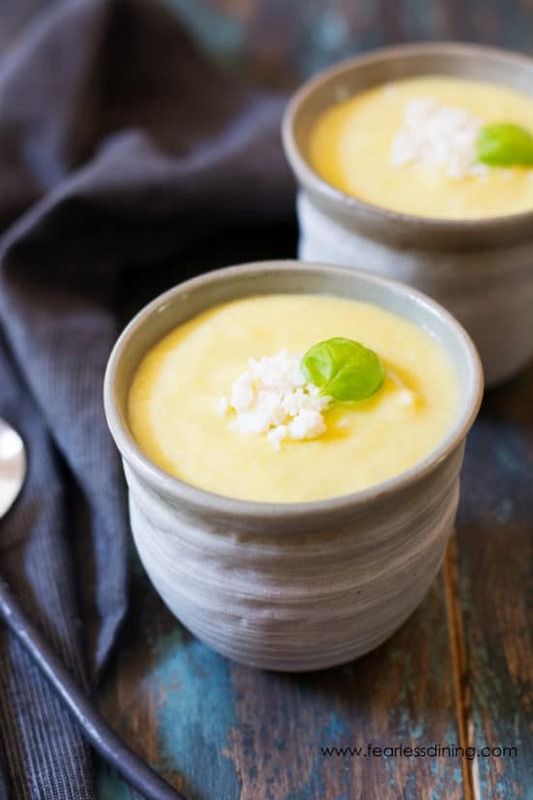 I love chilled soup and the idea of a light dessert soup is intriguing. 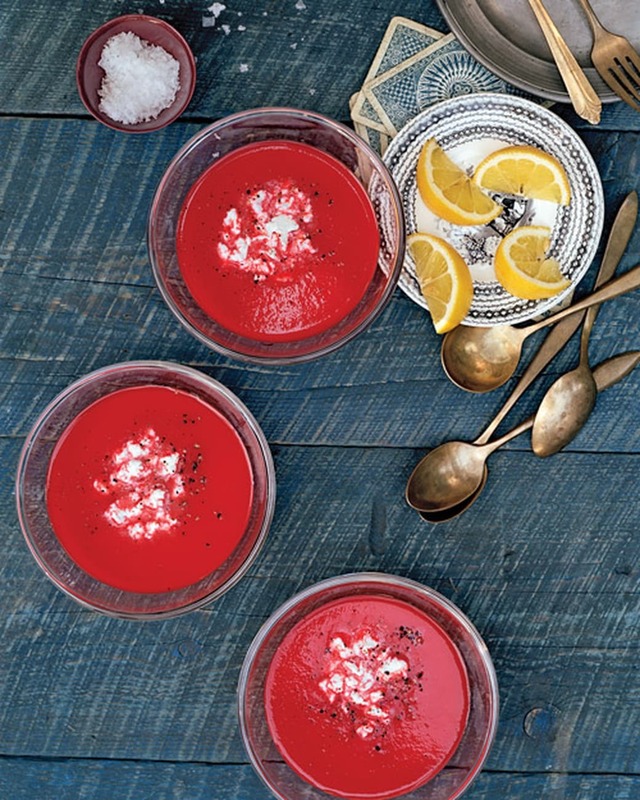 As for chilled watermelon soup, I’m a huge fan of spicy watermelon gazpacho.